Israel will issue a “harsh response” if the Syrian Army enters the buffer zone near the Golan Heights, Defense Minister Avigdor Lieberman said. Tel Aviv bolstered its troops in the region amid Syrian advances against militants. “For our part we will sanctify the 1974 disengagement agreement, and there too we will insist that every last letter be abided by, and any violation with meet a harsh response from the State of Israel,” Lieberman told his parliamentary faction, as quoted by Israeli media. Over the past few weeks, Tel Aviv has repeatedly warned Syria against entering the demilitarized zone amid the ongoing operation against militants in the southwest of the country. As the conflict in Syria has been raging on for years, Tel Aviv has on multiple occasions stated that it is not taking part in it. However, Israel has repeatedly attacked Syrian government forces near the Golan Heights, citing “stray shells” coming from Syrian territory as a pretext. 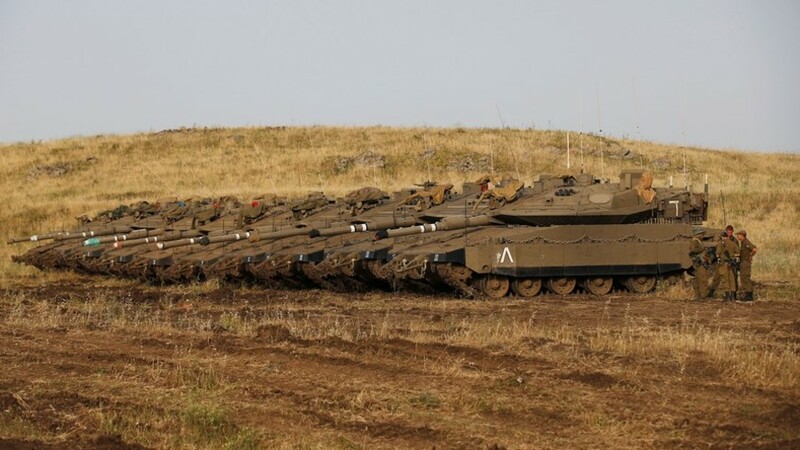 The latest incident occurred last week, when the Israeli military “attacked a Syrian outpost” over mortar fire directed towards the occupied Golan Heights. Some shells, allegedly fired by Syrian government forces, landed in the demilitarized zone, not even reaching Israeli positions. The Israeli attack reportedly did not inflict any casualties among Syrian soldiers. Apart from cross-border shelling, Israel has repeatedly targeted various military positions across Syria, citing the alleged Iranian buildup in the country. Damascus has denied the presence of Iranian troops on its soil, apart from advisers who were invited, condemning such attacks as blatant aggression. On Sunday, Syrian state media reported on an airstrike against the T-4 airbase in the Homs countryside, attributing it to the Israeli Air Force. Several incoming missiles were reportedly intercepted and one attacking plane was hit. Israel did not issue any comments on the incident. In April, Israel was also accused by Russia, Iran, and Syria of attacking the T-4 airbase. The strike, which was not officially acknowledged by Tel Aviv, killed several Syrian soldiers and Iranian advisers at the compound, and it also damaged the airfield’s facilities.